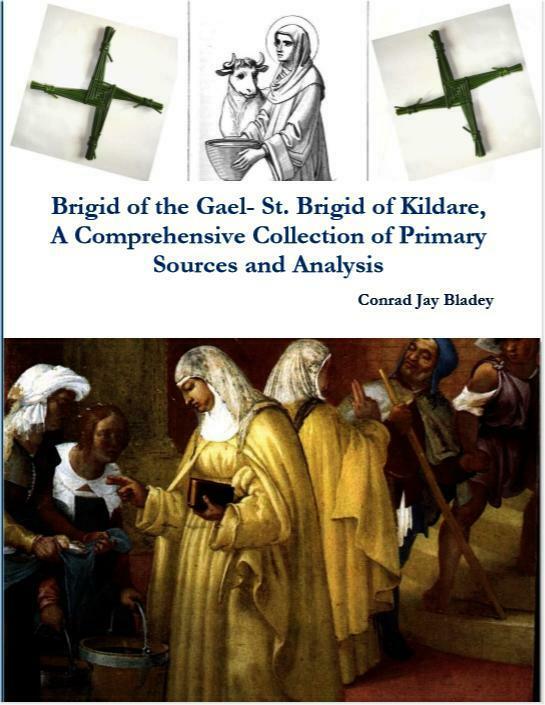 Click here for "the Good Saint Brigid of Kildare"
Saint Brigid of Kildare is the neglected Saint of Ireland. Despite being a contemporary of St. Patrick- He gets all of the attention and celebration. Brigid was quite important in her own time. Brigid is a great role model for children. A strong woman, she was made a bishop, founded and managed the monastery of Kildare (The Church of the Oak). She was well known for her work helping people. Brigid cured them of their illnesses, settled disputes and helped their cows to produce. She is famous for helping with livestock in particular with cows and with ale. So move over St. Patrick Brigid's on her way. Our publications are the most complete all-in-one sources available. A grand time will be had by all each February 1!